Pastor Pierre Prinvil has joined the staff of CPR-3 as Haiti national director, according to Dan O’Deens, director of CPR-3. Pierre is a Haitian pastor trained in the USA, who started and led a Haitian congregation in Florida until he heard the call of God to go back to his home land and serve his own people. He has started and built two orphanage homes outside of Port au Prince and has served countless families and children. His real passion is to shepherd and train future pastors to care for and serve the physical and spiritual needs of people throughout Haiti. 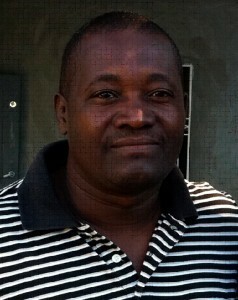 He is currently training over 150 pastors and will provide leadership to The REFINERY: Haiti Bible Institute. CPR-3 is a cooperating ministry of the Fellowship of Grace Brethren Churches whose purpose is to empower local church leaders to identify and implement sustainable solutions to the physical and spiritual needs within the communities of the overlooked.